Earl started his racing career in the late 1960’s, driving hobby cars, then he began racing a late model stockcar for the McKichan brothers at Delaware Speedway. 1971 went to Florida to watch his first Daytona Race. 1973 first Daytona 500 race. Carling-O’Keefe Brewery decided to run a car at the Daytona 500 and ask Earl to drive for them. He accepted, practiced and learned from Donnie Allison. 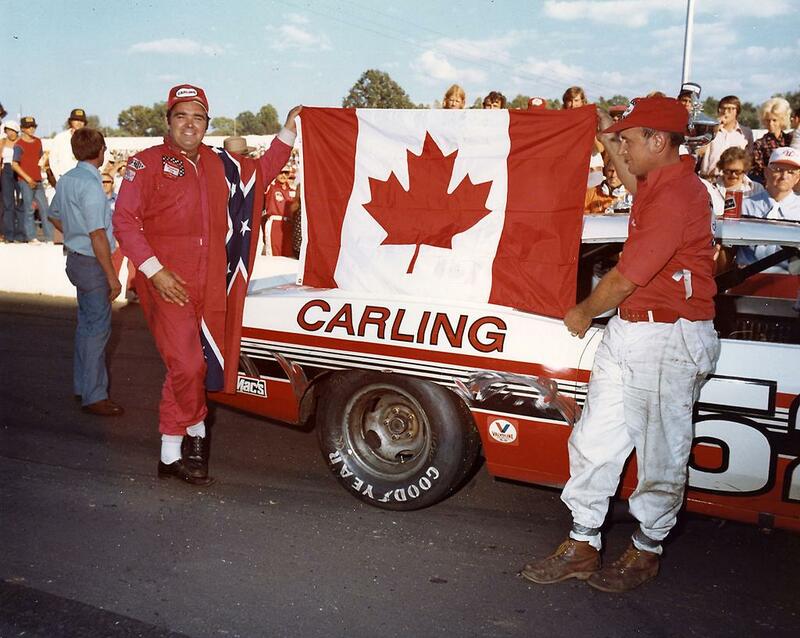 September 29, 1974, Earl beat Buddy Baker to the finish line by more than a lap in the Old Dominion 500 at Martinsville Speedway, becoming the only Canadian, and a Maritimer, to ever win a Winston Cup event. 1974 NASCAR Rookie of the Year. Earls NASCAR finishes are impressive – 1 win, 5 top5’s and 10 top 10’s in 26 races. In 1960’s, ’70’s, ’80’s, and 90’s he competed in the ASA circuit and CASCAR as well as the winning the River Glade International in 1977 and the Coca-Cola 100. Inducted into the Canadian Motorsports Hall Of Fame in 2000 and the P.E.I. Sports Hall Of Fame in 2008. Earl Ross passed away September 18, 2014; he was 73.